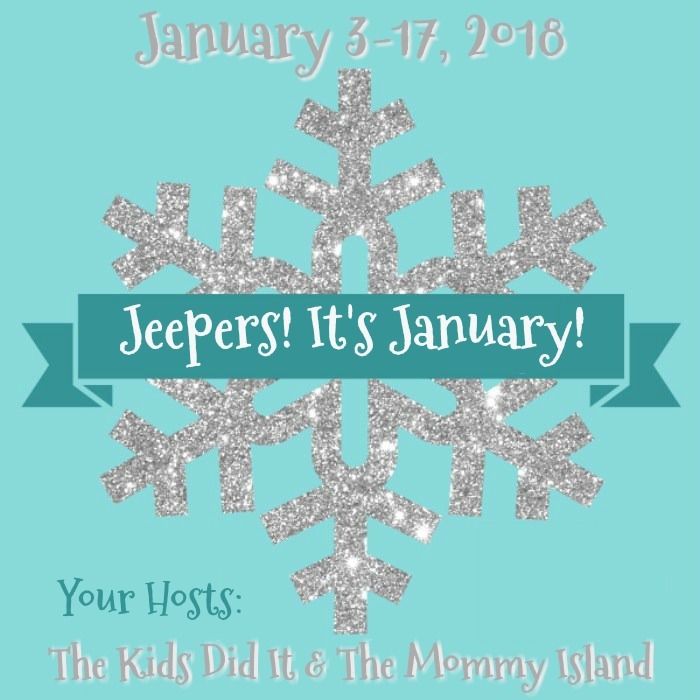 It’s Free At Last, The Kids Did It and The Mommy Island are VERY EXCITED to share this great opportunity with YOU! Disclosure: The participating bloggers were not compensated for this post. We are not associated with any of the companies named above. No purchase is necessary to enter. Void where prohibited by law. The odds of winning are based on the number of entries received Open to US Residents, 18+ only. Limit one entrant per household. Confirmed Winner(s) (by Random.org) will be contacted by email. Winner(s) have 24 hours to respond before a new winner is chosen. No purchase necessary. Void where prohibited by law. The sponsor(s) will be responsible for product shipment to winner(s) of this giveaway. My blog is not responsible for product shipment/delivery. This event is in no way administered, sponsored, or endorsed by, or associated with, Facebook and/or Twitter, Google, Pinterest, Instagram or Klout. This disclosure is done in accordance with the Federal Trade Commission 10 CFR, Part 255 Guides Concerning the Use of Endorsements. Entrants must only enter with either one email address, IP address and/or Facebook account, anyone found violating these rules will be disqualified. It is at the sole discretion of the admin of the giveaway if the winner has met the rules or not. I would use it to buy books for my 2 sons! I would get a an ITunes gc for a good friend. I would buy a new DVD if I win. I have my eye on a new biography of U.S. Grant @ Amazon.com that I want to read. I would buy myself a new cd! If I won I’d get some silicone molds! If I won this would go toward items needed for my daughter’s baby shower. I would buy one of the books on my list. I would get new clothes for my 2 daughters. I want to get myself an Instant Pot so I would be putting this towards that! kitchen towels, which I need. I would get some ebooks. I would purchase a cover for my weighted blanket. I would get coffee supplies. I would purchase a book. I would buy some cat food. I would buy the paperback It by Stephen King. I would purchase a dvd for me. I would put it towards buying camping equipment. I need a new set of weights! Thanks so much for the chances to win. I have a few things in my cart but this would go toward a workout shirt. Dog food. Always dog food. The new Taylor Swift CD! I would put the gift card towards a book or health food. I would stock up on water. I would put it towards a Kindle cover. If I won I would buy a kindle book or two. I would spend this on a gift for my new granddaughter who is to arrive in April. I would put it in my account because I am saving for an air ffryer. I would buy a new t-shirt or a new picture for the livingroom. I would probably buy a pair of earrings. I would save it for a bit to purchase stuff for my son’t graduation in May. I would purchase a couple ebooks. Thanks for hosting. I would buy a couple of kindle books. Most likely this will go towards crafting supplies, and much as I would like to order some other stuff on my wish list. Something for my grandsons birthday in a few weeks. I would order one of those food boxes. I would order a phone case for my son’s new phone. I would get a cell phone holder for the car. We lost our income the week before Christmas so I would use it for household necessities. This would be just enough to buy my cat the Senior cat food he truly needs. I would put in toward new hiking shoes. I would put it in on part for our grandson’s computer. I would put it towards a portable DVD player for my son. I’d more than likely get a couple adult coloring books. Thanks. I would have to use it for necessities…we are low on money. Thanks and God bless! I’d probably get one of the books or DVDs I’ve had on my wish list! If I won, I’d put the gift card towards purchasing a textbook for school! I would buy books. Love Amazon gift cards and their book selection. I would get myself a new book I’ve had my eyes on! I would use the Amazon gift towards new storage bins for my refrigerator freezer. I would use it to purchase some new sheets. To be honest I really like the AmazonBasics set! I usually spend amazon money on items the kids need!! I would love to get some new pens for my journaling. I would use this GC towards some new essential oils! I would see what I needed or wanted. I need some more coupons saver pages for my binder so I would order some more of them. i would use the gift card to get some coffee. i love k cups but they are so darn expensive. I would get a new book! I would grab a corset off my wish list. I would buy a new wallet for my purse. I would buy a few books that I am wanting to read. I recently decided I want an immersion blender and would put it toward the purchase of one. I’d purchase a medicinal shampoo I can only order through Amazon. I would use it toward a hot yoga towel. I need a new one since the one I have is old and only works so-so. I would put mine towards a new purse. I am in dire need of a new handbag. I would save it! I’m not sure what I’d buy yet! I would buy a new case for my phone! I would buy some snacks and cat food! The new blue ray IT. I would buy my husband the movie Hacksaw Ridge if I won. I would put this towards essential oils for my daughter! I would save it for something I really want. I’d purchase some books or art supplies. I would buy a memory card for my camera! What would you purchase if you won? well,more book’s or E-books for more value is always a welcome thing!!! I would buy a couple books for my daughters classroom. I would buy some groceries! I would get my sister a fleece throw blanket to use during chemo treatments. I would put it towards an air fryer. I would use it for k cups. I would love to buy a waffle maker for my kitchen. I would buy some gardening supplies! I would put it toward New sneakers. I would probably get some books for my kindle. Thank you! I would purchase a new fleece jacket. I would get a book on my wish list. Thanks for the giveaway! I would put it towards books for school. I will purchase some baking supplies I’ve been needing. I would buy my dad a birthday gift. I would preorder some books. I would buy a cat bed. We have 5 cats, and I would love to put a cat bed in their favorite sunning spot. My oldest has a birthday this month so I’d put it towards a gift for him. I would use this towards a birthday present for my son for his birthday that is coming up February 2. He is really interested in getting those XL Balloons he sees on his youtube videos where people fill them up with water and climb in them, or fill them up with Orbeez. Just a lot of fun stuff that he wants to try himself. I actually can’t find any around here the only place I can find them at is on Amazon. I really need to buy new curtains for the livingroom. I would put it towards diapers! I would buy my next book club book. I would get some heat holder socks. Goes towards buying a new backpack. I would buy a new natural face wash from Kiehl’s! I would get a new book I been wanting to read. I’d use this to get some flea drops for my 2 dogs. I would buy a new band for my apple watch! I’d probably buy books for my kindle! I would love to get an essential oil diffuser or some new knitting needles. Thank you for the chance! I would buy some books with the gift card. I’m saving up my Amazon gift card winnings to buy a digital photo album for myself. Once I’ve bought that I’m going to buy some exercise accessories (dumbbells, stretch ropes, etc.). I’d buy my favorite lipstick that isn’t available in local stores – thank goodness for Amazon! I would use the money to help purchase textbooks for my son. I would save for my kids birthdays this summer! I really need a shoe rack! I’d also like to get some closet rods! I would purchase books for my Granddaughter. I could really use it to help with purchase of laptop. 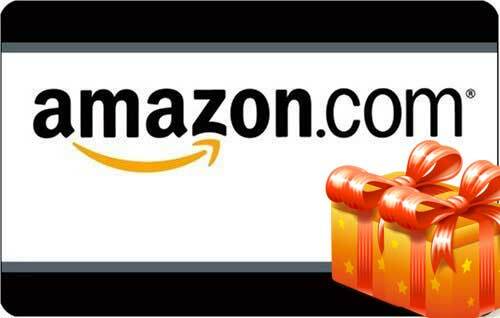 I would love to give this Amazon gift card to my husband; he’s always on the hunt for the latest electronic, and has recently been interested in purchasing a projector for our basement. I would like to put it towards a juicer if I won. I would get a new sweater for this cold weather. I would put it towards some new boots. I would use this card towards some art supplies for my daughter. I would put the GC toward my quarterly purchase of English tea. I would use it towards buying a laptop carrying case. I would buy some new gloves. I would use the gift card towards a new Chromebook. My Chromebook died two weeks ago and I am looking to replace it by the end of this month. I’m saving up for a pressure canner. I would put it toward food or something needed for baby #3! Love shopping at Amazon! I would purchase a book for my daughter from her wish list. Her birthday is coming soon. I would save it until I get enough money for more gardening items for the spring. I would buy a new book. I am doing a lot of reading and I would love something new to read. I would use it when I needed to purchase from the amazon pantry. I would put it towards gifts for Valentine’s Day. Time to start saving for next Christmas! I would buy a laptop case. I would buy flannel sheets. I would buy a beauty product. I would buy some Garden of Life Raw Vitamin C Supplements. I would get some new books! Thank you for the chance to win! I might get a new pair of sneakers or purse. I would buy a cover for my new grill. I would love to buy some milkweed seeds to plant this spring! We raise monarchs in the summer months and enjoy it so much! Last year we raised and released 621 monarchs! Was so beautiful watching each one soar! I would put it towards a fitbit my old one broke and I have been wanting a new one. I would purchase something for my garden – can’t wait for spring. I would get as movie for my family. I would buy a cookbook or a sweater. This would go towards the purchase of a new grill for my husband! I would buy gloves and hat set. Its freezing here! I heard from the weather channel that Tallahasse Florida got snow for the first time in 28 years….crazy! I would put it toward new sheets for the new mattress we’re getting soon. I would say something fun on the wishlist but let’s be honest, it would be something practical like laundry detergent or furnace filters. Being an adult is so much fun, haha. I would buy books for my daughters. I was using the wrong email to comment with yesterday. DOH! I’d purchase books. Most probably a book which I can pass on via bookcrossing.com once I have finished it. I would get a beard bib for my husband. Ice scraper ,to clean the ice off my car. I have some glass coffee mugs on my Amazon wishlist so I would probably purchase those if I win. I’d buy an Xbox One game for my kids if I won. I would use this towards the purchase of some new Calphalon Pans if I was lucky enough to win. I would purchase a book I have been wanting. I would get some Kcups with this. I just found a sweatshirt I would love. I would use it to buy an dvd that I want. I would put it towards a new pair of boots! I would purchase a cardigan. I would use the giftcard to buy some flannel sheets. I would get some new winter gloves. I think I would purchase a book that I’ve been wanting for a while. I would purchase my grandsons new winter hats! I would purchase books on my wishlist most likely. Thank you for the chance to win! I would buy a few books on Amazon. I would buy myself a pair of slippers that Santa forgot to bring me! I’d save it for textbooks. I would buy soemthing for around the house. I seriously need a shoe rack for my closet! I have developed a love for shoes and they are starting to pile up! I would use the gift card to buy some warm winter mittens. I have a new puppy and we need all the chew toys we can get our hands. I would put it towards my monthly subscribe and save items! I would use it to stock up on diapers if I win. If I win, I will probably get a book. I have several on my wish list. a new winter coat, it’s so cold here. I need some more winter socks! It is so cold here in Ohio. I’d buy some books for my kindle. My wishlist is a mile long. I would buy a new wallet if I won. An awesome book, like Wires and Nerve, volume 2. I would love to purchase more coffee!! I would spend it on a book! I will buy myself a new purse. Thanks for the giveaway! I would purchase some CDs that I can’t get locally.